As a practitioner of a Complementary & Alternative Medicine (CAM) modality, I was pleasantly surprised when my research for a presentation at a cancer survivorship conference turned up the news that nearly half of all medical schools in the United States—including top-tier facilities such as Johns Hopkins, Harvard, Yale, Duke, Mayo—are now teaching integrative medicine. Using integrative medicine, more doctors in the future will assess and address patients as unique individuals with thoughts, emotions, spiritual/religious/ethical beliefs, and social structures that often play a significant role in disease. New doctors will be more knowledgeable about the vital role CAM modalities can play in bringing relief from patients’ symptoms of dis-ease and in helping to keep their patients healthier in body, mind and spirit. With an estimated 75-90 percent of doctor visits attributed to stress, this trend towards whole-person healthcare can make financial sense as well as serving as a more humane approach to medicine. Michael Moore’s inspiring new film, Where to Invade Next, contains interviews with European business owners who say they don’t mind paying for their workers’ eight weeks of paid vacation because it makes for happier, less-stressed workers who can contribute more to both the business and to the welfare of society overall. Moore’s interviews with German citizens reveal that doctors there may prescribe a three-week stay at a spa for patients whose stress has become unmanageable. Again, the goal is overall social welfare through the well being of individual citizens. In America, we find integrative medicine currently most prominent within mainstream medicine in oncology and hospice care. Franciscan and MultiCare provide access to yoga, massage, acupuncture and acupressure at some of their facilities. While some of CAM services are to be paid out of pocket, at least they are made readily available and are regarded as valid components of care. This last point is significant because 63-72 percent of patients that use CAM modalities do not tell their doctors they are doing so. One reason cited is patients’ fear that their doctors may scoff at those practices. According to an article in the American Medical Association’s Journal of Ethics, it is unethical for a doctor to patently dismiss a patient’s expressed regard for a CAM modality. Yet, as discussed in the National Institutes of Health free booklet, Thinking About Complementary & Alternative Medicine, A guide for People with Cancer, it is important for patients to confer with their doctors about their desired CAM use so that the doctor can help prevent any unintended consequences such as, in the case of cancer, vitamins that might interfere with a patient’s chemotherapy. That is one reason why it is so imperative for doctors to learn about CAMs, so that they can capitalize on both the strengths of the CAM as well as help their patients understand possible limitations. What I see most often in doctors’ skepticism or dismissal of CAM modalities is reference to a lack of “scientific evidence” in the CAMs efficacy. Some doctors claim that all positive responses to CAMs are due to “the placebo effect” (in other words, just believing the modality will work causes the desired effect). Others cite an outdated perception that CAMs cannot perform better than a placebo, which is part of the “gold standard” for “scientific evidence”. New drugs cannot come to market unless they perform better than a placebo. So only 50 percent do. A heftier 90 percent of potential drugs for the treatment of e.g. neuropathic and cancer pain cannot beat the placebo. Even some drugs currently on the market cannot perform better than a placebo, as is the case with Tylenol prescribed for back pain. Another study showed a placebo performed as well as a proven migraine headache drug. What patients believe about what can help them is proving to be a large and significant part of what does. The body-mind connection is not something to be denigrated, but to be capitalized on. That said, I don’t mean to imply, as some in mainstream medicine do, that the effect of CAM modalities is all in someone’s head. In my specialty of reflexology, a recent study that pitted reflexology against a placebo showed that reflexology sessions reduced the subjects’ perception of pain by an average of 40 percent. Clients of mine have experienced everything from partial or short term pain relief to full and/or long-term relief. 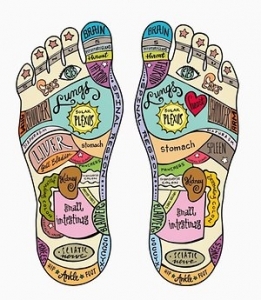 While it’s true that most of the reflexology studies are “qualitative” (i.e. subjects rate their symptoms pre and post-reflexology), those should not be dismissed out of hand just because it’s expensive and otherwise difficult to run quantitative studies. You cannot tell a person who became pain-free after reflexology or acupuncture that their relief isn’t significant. Try telling someone like Regis Philbin, who -- after having reflexology the night before a scheduled surgery -- passed the kidney stone(s) the doctors insisted could only be removed surgically, that CAM modalities are just hocus-pocus. I am not suggesting people forego doctors, hospitals, surgeries or pharmaceuticals and use only CAM modalities, but with 44 deaths in America daily from prescription pain medication overdoses, it seems negligent to ignore CAM modalities for pain management, as well as for other aspects, of patient care. Especially when CAMs are typically the most benign. A Spanish physician with whom I study who has used reflexology in his medical practice for three decades says if reflexology won’t achieve a significant change, for instance for a child with ADHD, then he’ll prescribe pharmaceuticals. His overall goal is quality of life for his patients. It’s also important for patients to start asking their doctors to learn about CAMs and be willing to consult as needed with their CAM practitioner[s]. Two good sites for MD’s, ARNP’s, and others to get information about CAMs is the National Institutes of Health and University of Minnesota. I am working with the Washington Reflexology Association on a short video primer to post on YouTube to educate medical professionals about Reflexology, and will outreach to other CAM modality organizations in hopes they will create similar short informational videos that we can all cross-reference so that medical professionals whose education preceded the current introductions to CAMs can gain a basic familiarity with CAMs and the new research about them. In light of the fact that 41 percent of the population having declared a decade ago that they prefer medical facilities that offer CAMs such as massage, I hope to see the day when there is a reflexologist on-staff making rounds in every hospital in America. 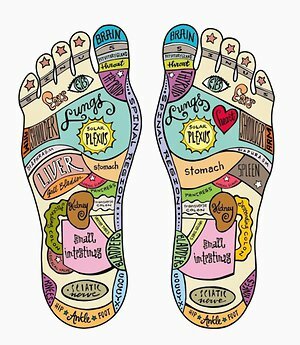 In addition to reflexology’s benefits for the circulatory, nervous and other systems, so much benefit can come from even just minutes of touch. There’s now scientific evidence even for that. Editor's note: This article was originally published on the Natural Choice Network.